For 200 years the small village has grown and developed around the harbour into a town rich with maritime connections. The harbour was built to provide shelter and protection from Dublin Bay while ships waited to enter Dublin Port. The foundation stone was laid down in 1817 by the Lord Lieutenant and it took 600 men nearly 40 years to complete. 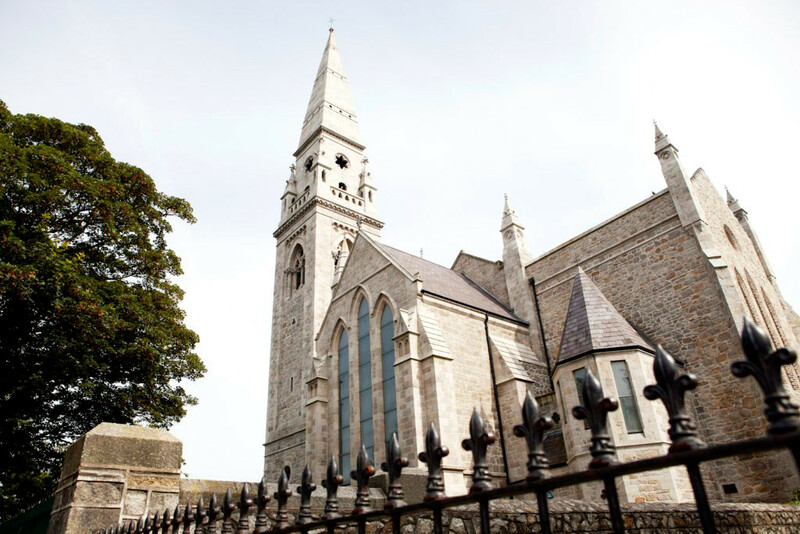 From west pier to east there are lots of interesting and historically significant sights to discover on a walkabout of maritime Dun Laoghaire. Next time you are our for a stroll take note of some of these key maritime history hot-spots around the harbour. 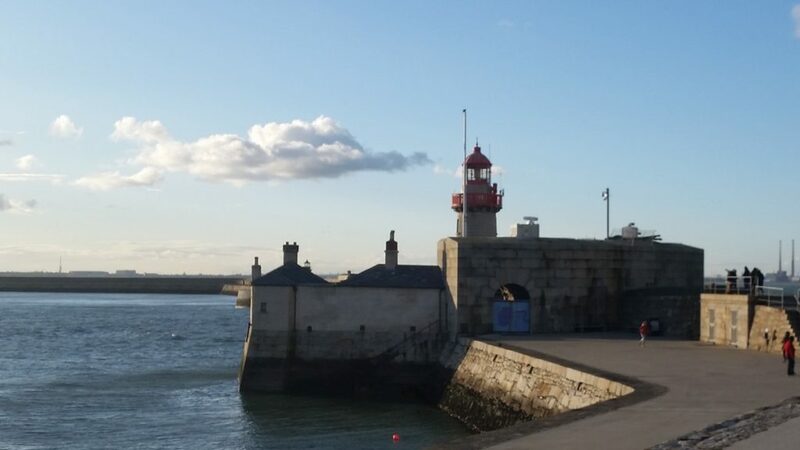 The best place to start a journey into Dun Laoghaire’s maritime past is by taking a walk out the harbour walls. The harbour is made up of two long granite piers, east and west that enclose a space of 250 acres. The west pier is home to the first of two lighthouses. This lighthouse was built in 1852 and automated in 1930. A fog horn was added to the west lighthouse in 1909 at request of the London North Western Railway. How to find it: Walk to the end of the West Pier, all 1,548 metres, and you can’t miss it. It’s a lovely walk down the lesser traveled and quieter West pier. 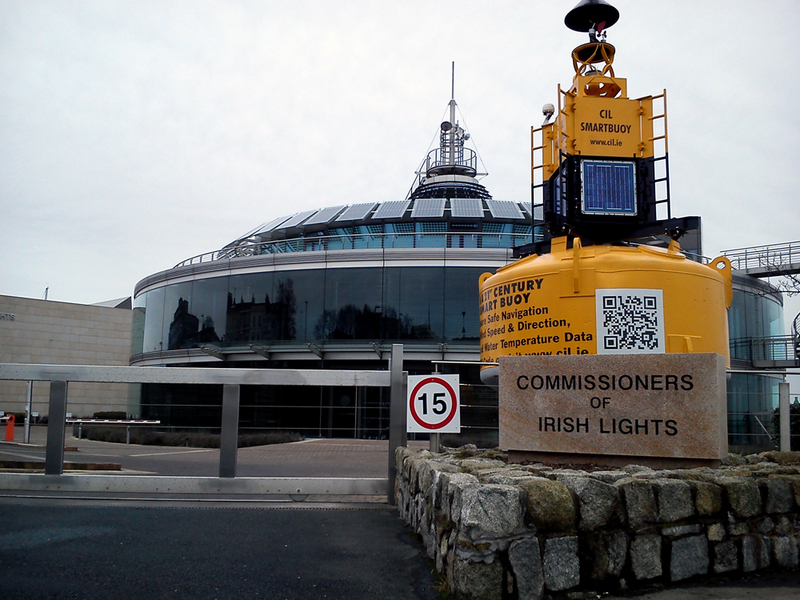 The Commissioners of Irish lights (CIL) building is the most modern stop on our tour but an important one. They have a long history going back over 200 years and deliver essential safety service around the coast of Ireland. 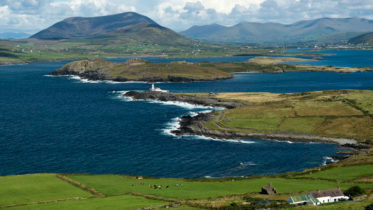 They play a vital role in overseeing coastal lights and navigational aids around Ireland while protecting the marine environment and supporting the marine industry and coastal communities. The headquarters for the CIL is located in a beautiful modern building on the waterfront of the marina. The building is innovative and beautifully designed using sustainable and renewable technologies much in keeping with the ethos of the CIL. This monument dedicated to the courageous men, known as Hobblers, who took great risk to offer guidance to ships entering the harbour, stands on the East Marina breakwater. The Hobbler community operated in Dun Laoghaire harbour up until the 1930’s. It was a dangerous occupation with little pay and there was fierce competition between them, but it was the only living they had. The men would venture out to sea often in harsh weather conditions in the hopes of spotting an incoming ship. Often times these men couldn’t swim, and a mistake could cost them their lives. 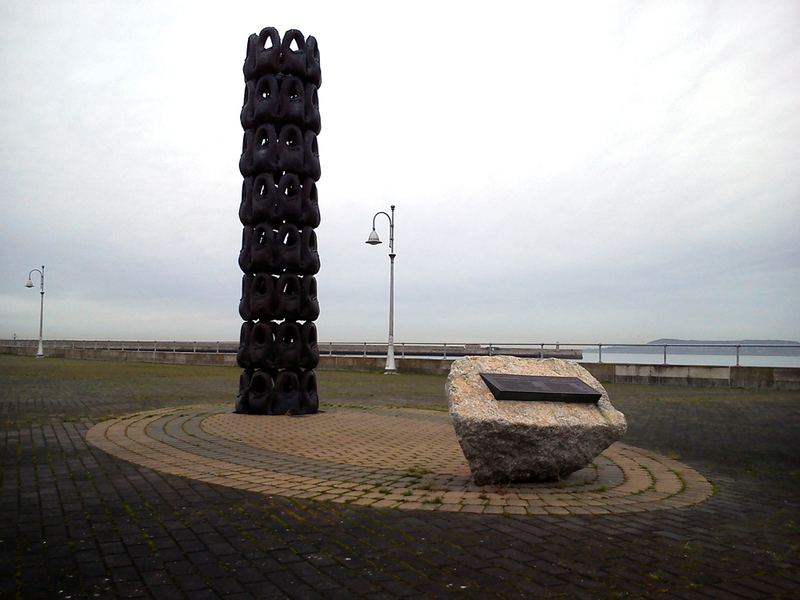 The bronze sculpture is made out of 64 life-sized life jackets in the shape of a tower. It stands as a memorial to the tragic deaths of numerous hobblers who risked all to earn what little they could. How to find it: Walk past the entrance to the marina, the monument is at the start of the pedestrian walkway on the east marina breakwater. The Georges IV Monument, located in front of the Royal St. George Yacht Club commemorates the royal visit by George IV to Dun Laoghaire in 1821. After the visit the town officially renamed itself as Kingstown. The name reverted back to Dun Laoghaire in 1920. 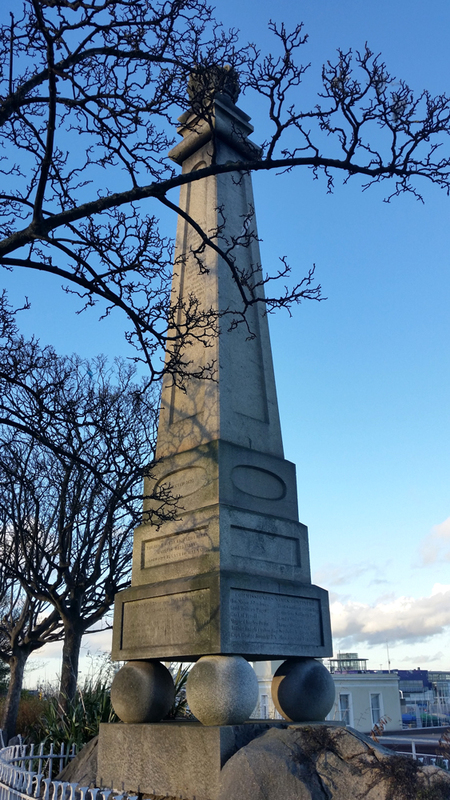 The granite obelisk also records the details of the laying of the first stone of the harbour in 1817. How to find it: Right alongside the road opposite the gates to the Royal Marine Hotel and in front of Royal St. George Yacht Club. One of the single greatest losses of life in Irish waters happened on the 10th of October 1918 when the RMS Leinster was sunk by a German submarine 12 miles out from Dun Laoghaire Harbour. 501 innocent souls died on that tragic day. In the 1990’s local divers began to explore the wreck of the Leinster and one of the anchors was recovered. 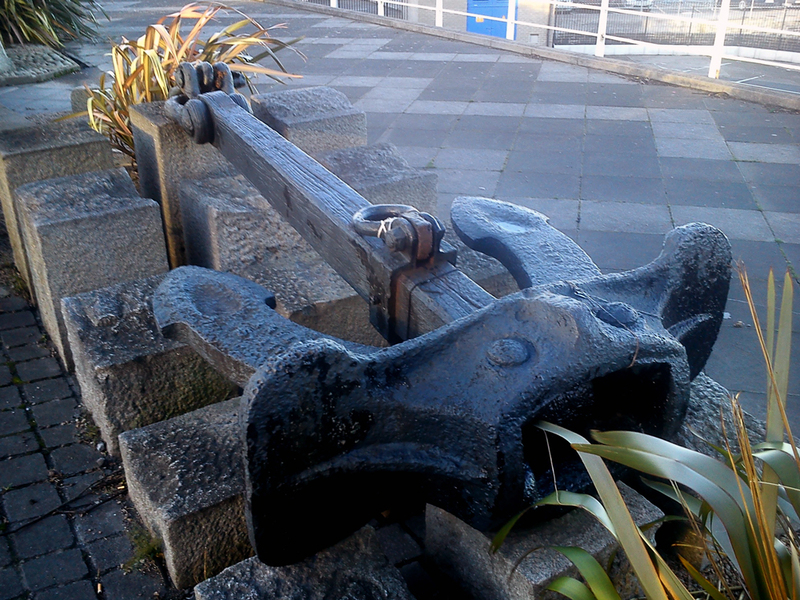 The anchor is now on display in front of Carlisle Pier, the place where the Leinster set out on her final voyage. How to find it: Right beside the George IV Monument. The Mariners Church was built in 1830’s as the need arose to have a place of worship for those working and coming into the busy harbour at Kingstown. Over the years the congregation dwindled and the church ceased to function. The Maritime Institute of Ireland were handed over the building as a great place to open a maritime museum. In 1978 the National Maritime Museum of Ireland opened it’s door and it remains a day a must see spot to learn all about Ireland’s maritime heritage. How to find it: Between the DLR Lexicon Library and the Royal Marine Hotel. This monument on the east pier is a dedicated to the memory of Captain John McNeill Boyd and his men you courageously lost their lives while trying to save shipwrecked crew of the Neptune. The weekend of 8th and 9th of February 1861 saw one of the most severe storms ravage the east coast of Ireland. When two ships the Industry and the Neptune tried to seek the shelter of Dun Laoghaire harbour, they were dashed against the rocks at back of the east pier. Captain John McNeill Boyd, captain of the Ajax, and his men heroically went to the aid of vessels. Tragically they lost their lives and drown when a massive wave swept them into the sea. How to find: Walking down the East Pier you will see this monument on the upper path. The Anemometer was built in 1852 designed by Rev Thomas Robinson of TCD and it was one of the first in the world. It’s houses in a granite structure on the East pier with the greek word Anemois above the door, referring to the greek wind gods. 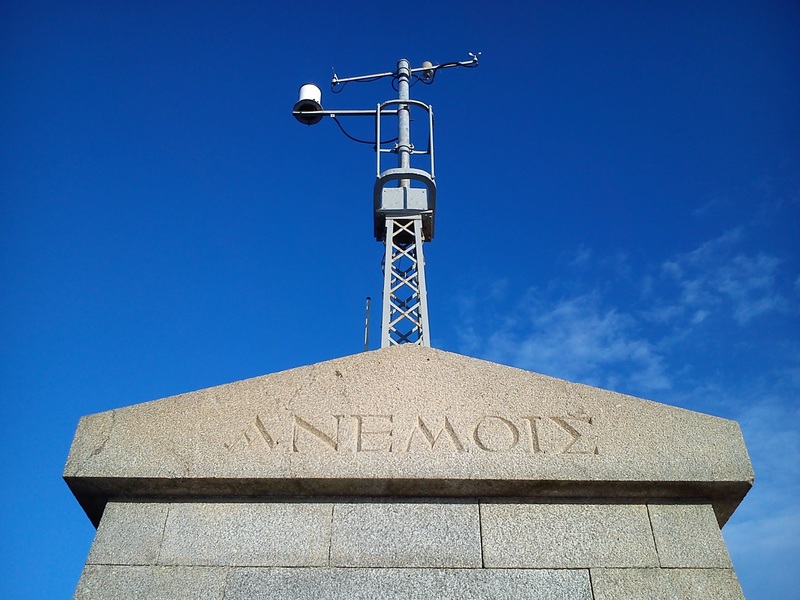 It’s purpose was to monitor wind and sea direction, providing value information to mariners and significantly contributing to safety on the seas for over 120 years. Today the anemometer is fully restored and it full working order. An automated weather station was installed in 2000 with visual display to so passersby can read the information. 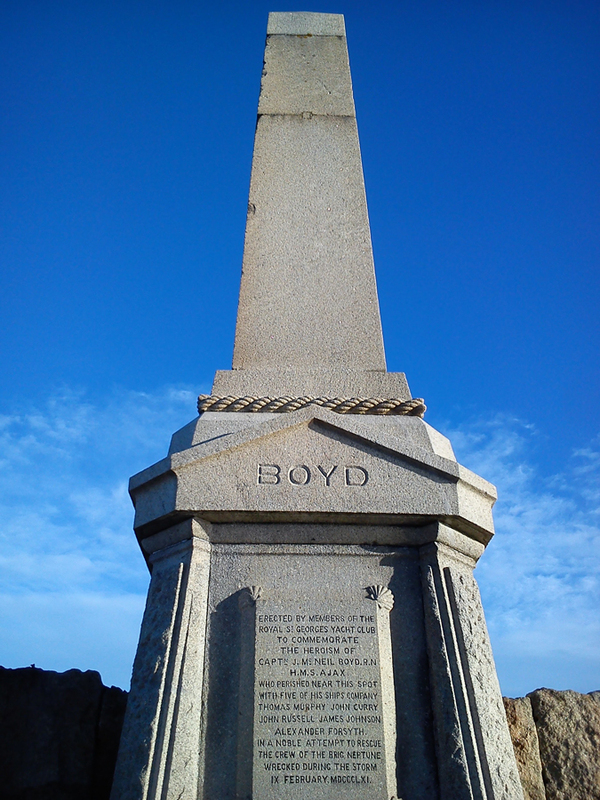 How to find it: Continue walking past the Boyd monument, almost at the end of the pier. Our final stop on this list is the second lighthouses at the end of the East Pier. The lighthouse is located at the battery at the end of the pier. This battery is one of only two gun saluting stations in the country, the other is at Spike Island. At the opening celebrations for the harbour’s bicentenary last year there was a 21 gun salute from the station. The lighthouse was built in 1847 and fully automated in 1977. 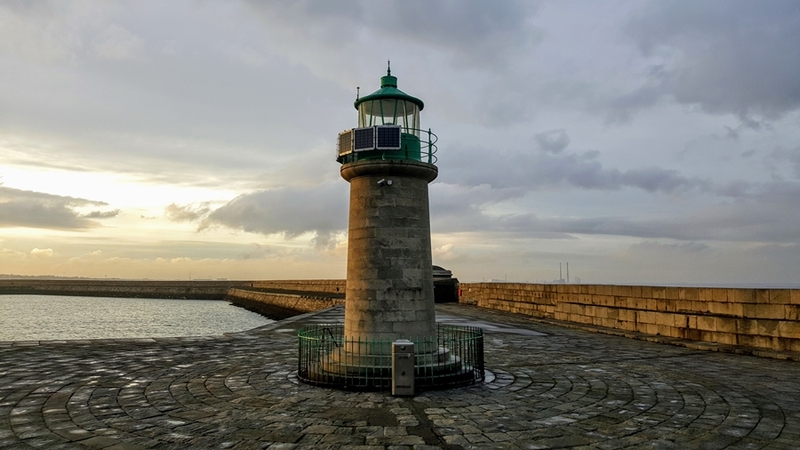 From here you’ve an excellent view of the whole harbour and the handy coffee shop at the lighthouse provides a much needed resting spot after you’re long trek through Dun Laoghaire’s Maritime past. Go on have a Teddy’s ice cream you deserve it! How to find it: Once you’ve walked past the Boyd monument and the Anemometer, you’ll find the lighthouse at the end of the 1300 metre East Pier.